Genus of about 65 species of climbers, occasionally shrubs, found in woodland, woodland margins and thickets in northern temperate regions. 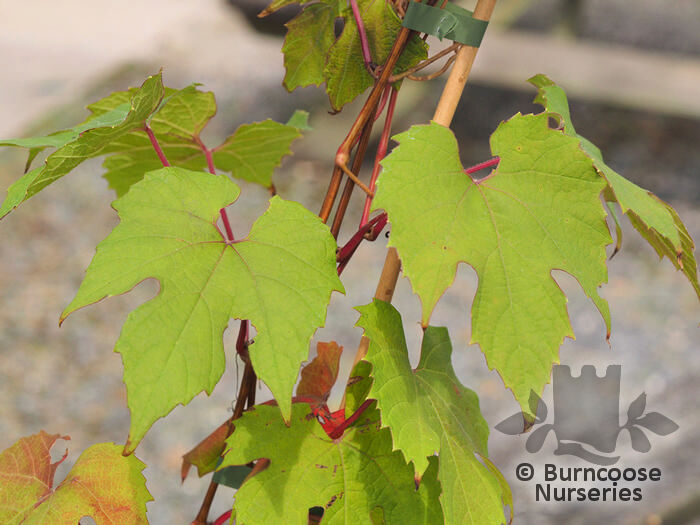 Deciduous - woody, tendril climber with flaking bark and simple lobed or toothed leaves. 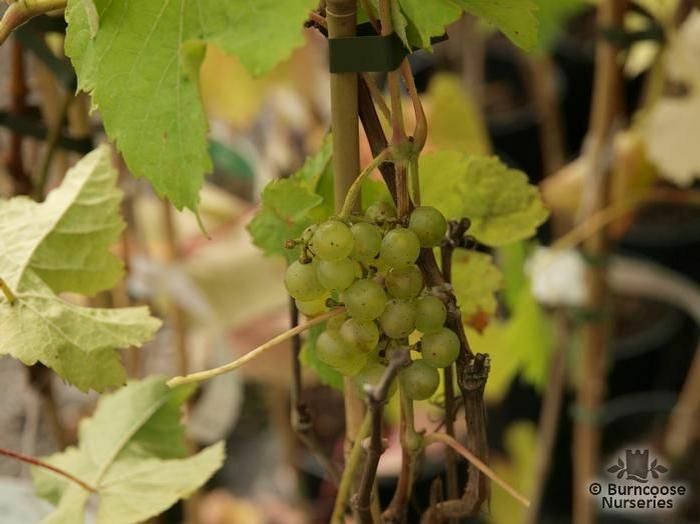 Fruit - Plants which produce an edible or ornamental fruit - small, green flowers, in panicles, form in the leaf axils in summer and are followed by fruits, edible in some species (grapes). 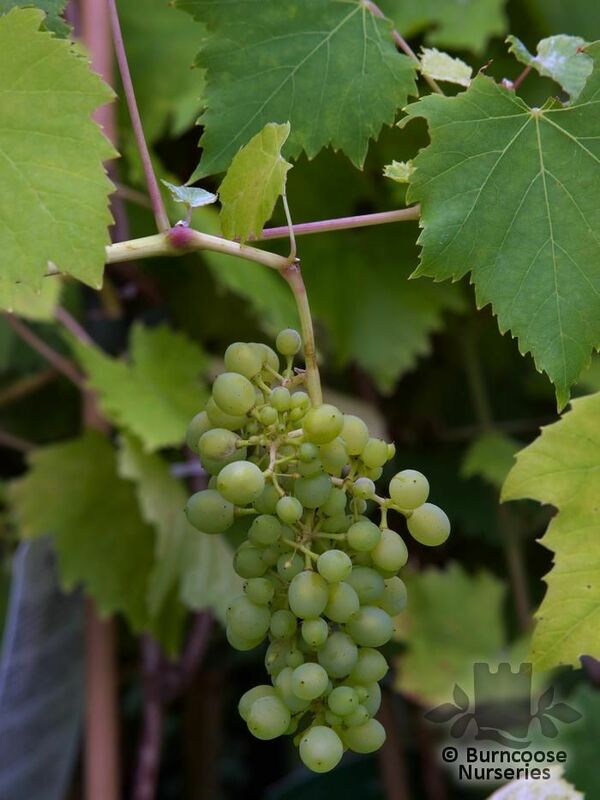 Requires long, hot summer for ripening fruit. Zero Rated Item - No VAT on this plant - edible varieties. Against a wall - south or south-west wall suits outdoor varieties. 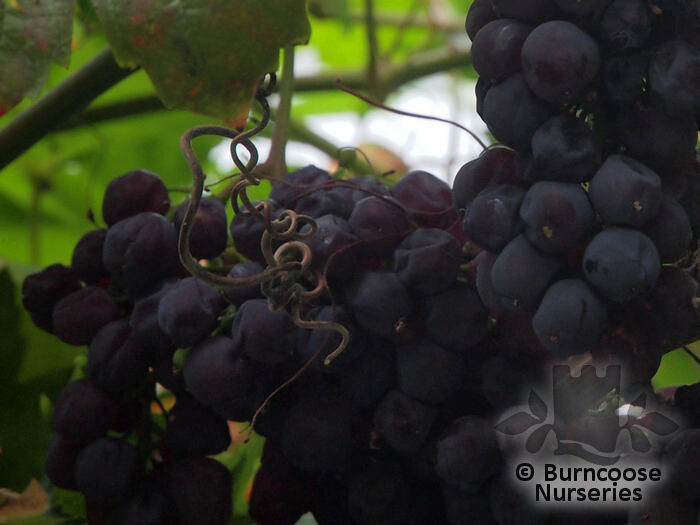 Additional Features	- Good to know - edible varieties for fruits and winemaking. Ornamental for foliage and fruits. 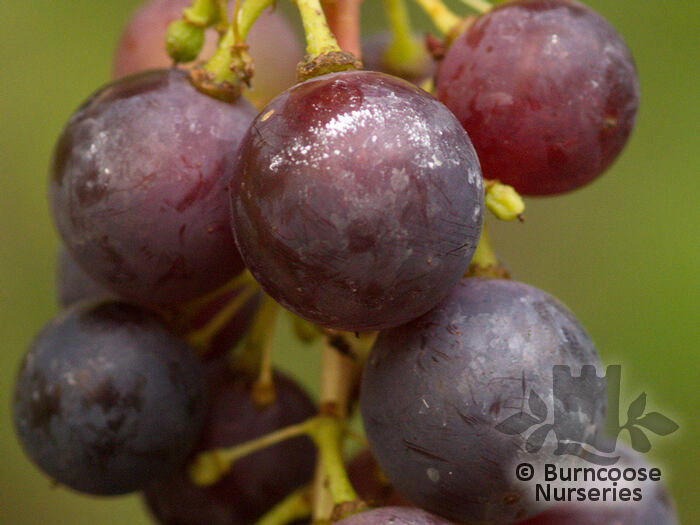 Pests & Diseases - powdery mildew, honey fungus.Under glass, scale insects, mealybugs. 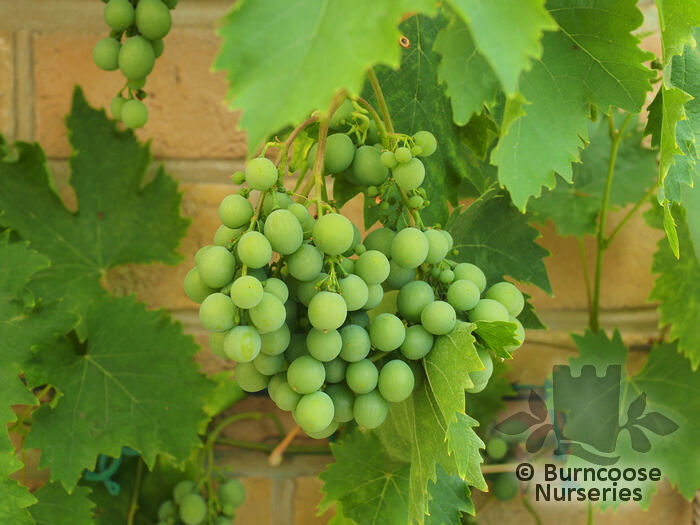 Commonly known as: Grape vine. 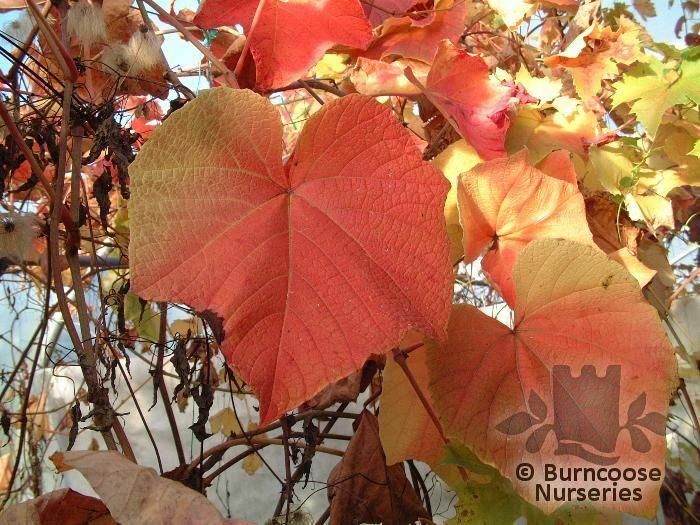 Commonly known as: Crimson glory vine. Commonly known as: Crimson climber. 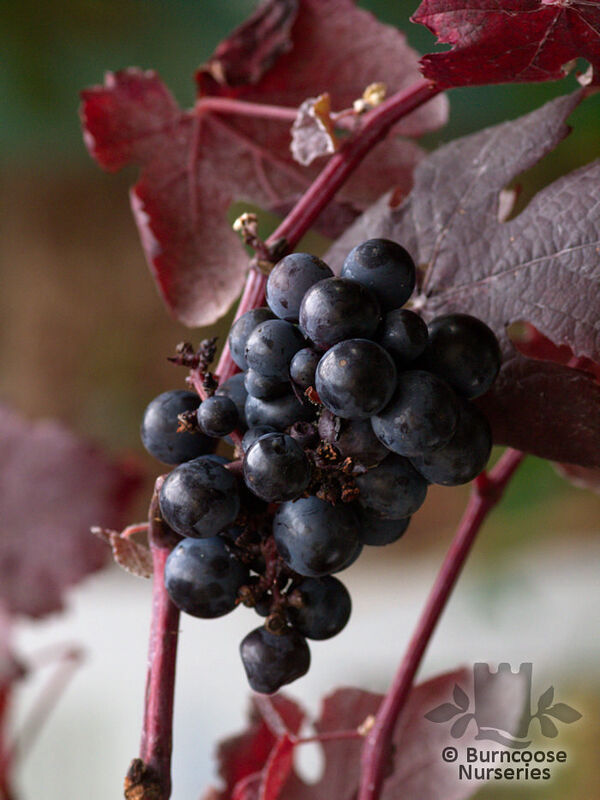 Commonly known as: Common grape vine, Purple-leaved vine, Teinturier grape.